In all honesty, I get a little more excited than I probably should when it seems like someone's marketing department has accidentally revealed juicy details. 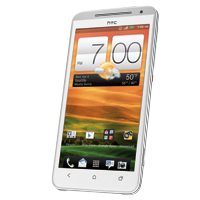 Today, after seeing Jelly Bean 4.1 teased in a thumbnail image and checkout page (which was quickly redacted), it seems that Sprint may have let slip the existence of a white version of the HTC EVO 4G LTE. In a banner found on the Now Network's website earlier today, we see a white Samsung Galaxy SII (nothing surprising there) right next to a white and silver version of the EVO LTE.